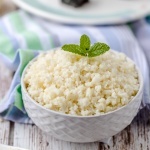 One of the recent trend, Cauliflower rice is just now tagging everywhere on the net. This vegetable simply packs all the healthiest nutrient: Potassium, fiber, B6, C and K.
Not only that, cauliflower is low in carb, starch free and definitely gluten/wheat free. Good thing is, cauliflower available year round and can be found at any grocery store or market. 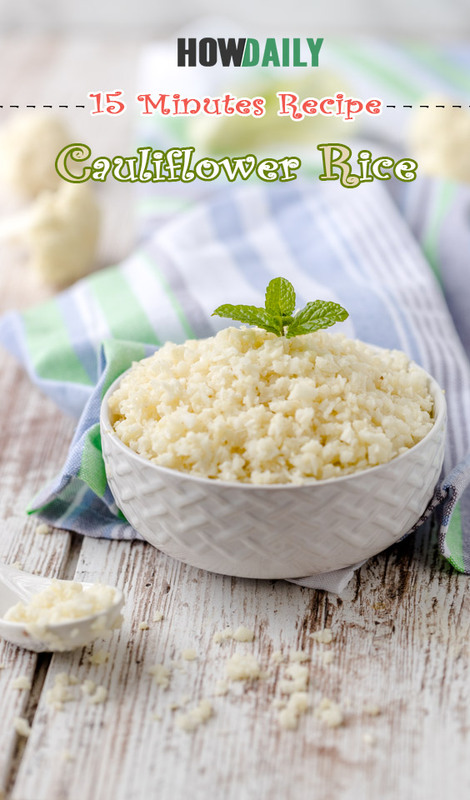 Making cauliflower into rice -like dish is easy and super fast too. You would need a food processor to randomly chop it into rice’s size chunks. Then you can simply just stir-fry, steam, microwave, etc..
Of course, the taste is different compare to real rice, but at least the look match somehow, and cauliflower ‘s a lot healthier. 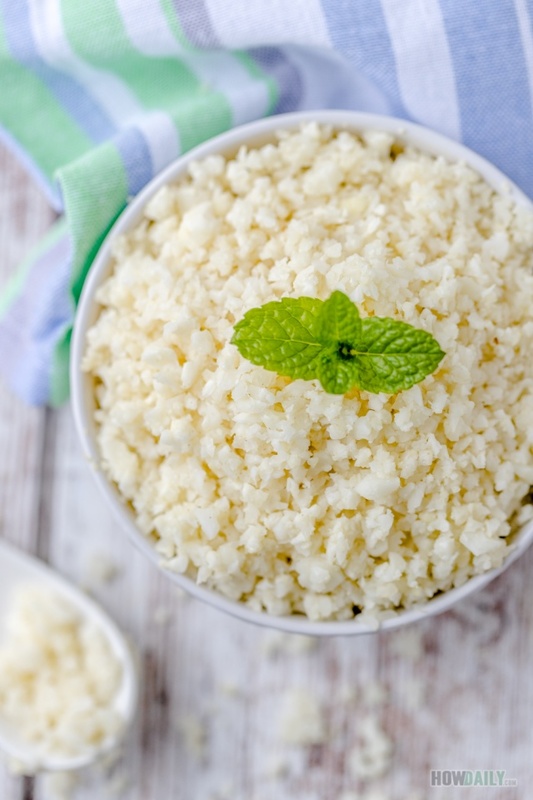 There are many uses for cauliflower rice. They can be served as-is, as side dish to other food. 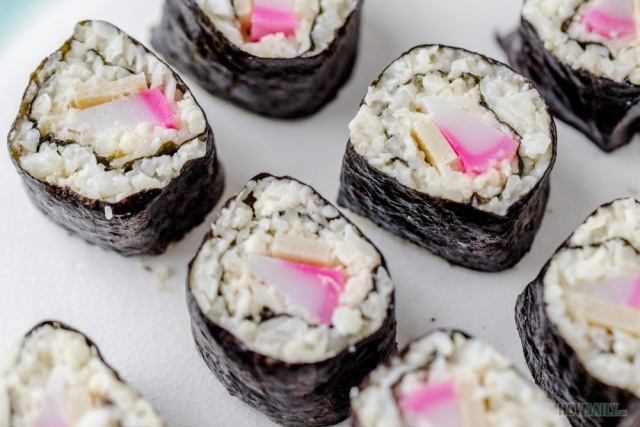 Or they can also be used to roll the famous grain-free sushi. 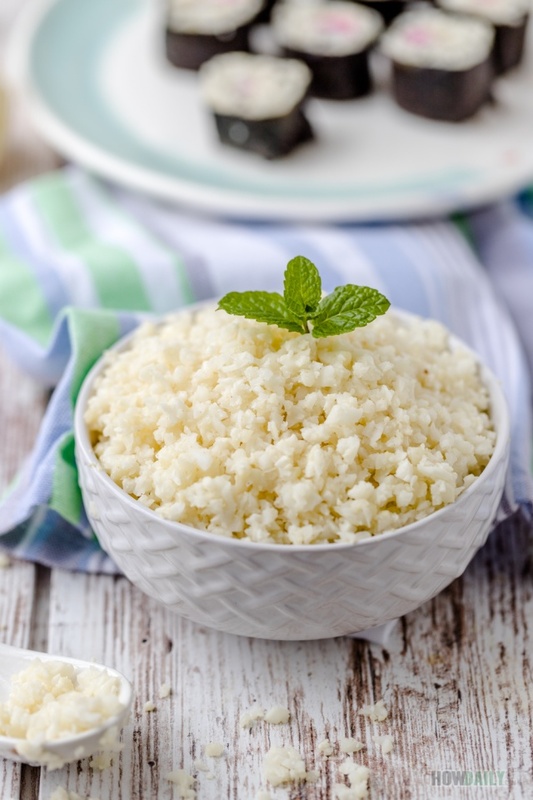 So, if you’re on a diet or maintenance routine, don’t hesitate to replace cauliflower rice with whatever dish that called for rice. Wish a food processor, divide cauliflower into small batches, and process one at a time. Start by pulsing, one-by-one until all florets turned into small rice like grains. Repeat for other batches, do not over process. In a large wok or sauce pan over medium-high heat, when pan is hot, add oil. Twirl a few times then add cauliflower grains and a pinch of salt. Keep stirring to cook and soften cauliflower.